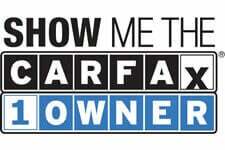 *** CARFAX CERTIFIED 1-OWNER! RARE SUN + SOUND + LEATHER (SSL PACKAGE)! THIS EVO VIII WAS OWNED BY AN EVO ENTHUSIAST / REPEAT CUSTOMER AND IT SHOWS! THOUSANDS OF DOLLARS SPENT ON NAME BRAND TOP OF THE LINE PARTS! ABSOLUTELY STANDS OUT FROM THE REST!